You want to start creating training courses and tutorials on your site, right? What would stop you from doing that? You’ll be having interactive sessions with your audience through the training offer you’ll be creating from time to time and this will make your blog look more lively and captivating to your readers than ever. It further maximizes your blog’s online revenue potentials and makes the blog a must-to-visit portal for the hundreds of potential, veteran and struggling bloggers out there. Creating online training on your blog is a wise business decision. Like, how would you interact with your audience through the training tutorials and courses that you’ll be creating? Or receive payments for selling courses and tutorials? How to create training courses and tutorials that will be of maximum help to the people. How to organize your online training business such that everyone can quickly order and schedule interactive sessions. How to offer a valuable course or tutorial to the people and structure the best time to have interactive sessions. By providing all that’s needful, you’ll successfully set up a rocking blog that will receive hundreds of visits daily in lifetime. Your blog becomes a stable source of online revenue for you. If you really want to set up a training business of your own, the greatest way to implement that is to learn how to craft a headline and captivate a lot of readers through your blog posts making them decide on hiring you as a competent trainer. Read the Complete Guide To Writing A Quality Blog Post and learn how you can craft reader-attracting headlines and attention-grabbing posts. In achieving these, a lot of people will receive your training offers leveraging the one-on-one / interactive coaching classes available right on your site. Aside from giving training tutorials and courses on your blog coupled with organizing interactive training sessions, there are still newbies who will require much more attention and wouldn’t mind paying for the extra service to the core. Thus, create your first training / coaching offer and be rest assured to earn lots of cash doing that with passion. Are you a rocking blogger who has got enough internet marketing / blogging experience and who will then see every need to blog with passion and build a site on blogging fundamentals? Are you a Search Engine Optimization expert who will teach these people how to optimize their sites for top search engine rankings using the numerous SEO strategies? Are you a successful internet entrepreneur who has got breakthroughs out of internet marketing and would love to teach others how to become successful giving all that is required? Build your training offer and make it centered on a particular area that will be of interest and great dividend to the readers. Figure out what is commonly known as a challenging point for your readers which you can resolve in earnest. Identify which of the issues can be tackled within a 15-minute or 45-minute voice call. Name the package in a creative or funny way and be so clear to your audience. Specify the resources that must be delivered to the audience upon ending the voice call. Now, let’s get you fully established to book, receive payments, promote and deliver your first training session right away. How to organize your payment processing system through which visitors can buy your training tutorials and courses. How to organize a systematic appointment strategy so that visitors can easily book for interactive or one-on-one interactive training sessions. How to set up or create a sales page for your training offer which enables customers to reach you and book appointments. As you can see now, this may seem to require a lot of actions but all can be fully accomplished in a twinkle of an eye. I’m going to teach you a completely free way to get things done straight away and you can, of course, leverage content management systems such as Simplybook which streamline booking, and set-up is cost effective. This whole process can be implemented the same way even if any other Content Management System is leveraged. i. The purchaser must receive an email in a file type such as PDF and the likes. The email contains a link to your calendar page through which anyone can book an interactive training session. ii. You must receive payment alerts. First, you must leverage an e-commerce platform. Then, you need a widely-used online payment processor such as PayPal, Payza, Stripe and many more. Let’s leverage PayHip as an e-commerce platform here. Because PayHip mostly operates with digital downloads, I leverage it to deliver and sell some digital tutorials and courses. It can be leveraged completely free to deliver copy review interactive sessions. To get started straight away, log on to PayHip and create a free account which only takes a few minutes. 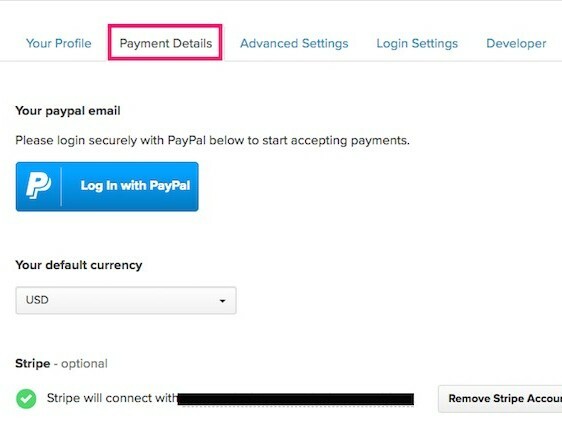 Now, choose the “Payment Details” tab and you will be prompted to connect your PayPal or Stripe account right away. You have the options to choose PayPal or Stripe or both. Most people prefer Stripe to PayPal because credit card transactions are made easier with it. 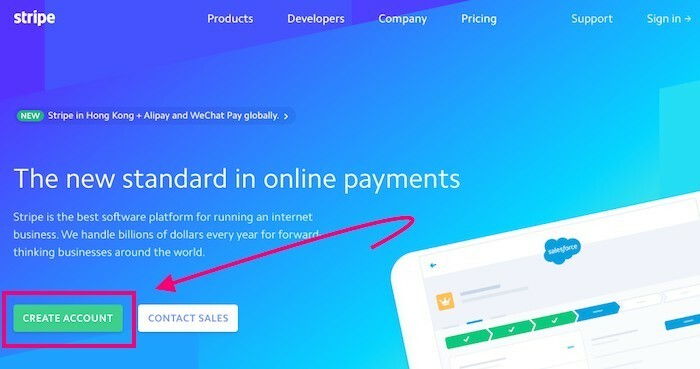 Why do certain people prefer Stripe to PayPal? Set-up process is easier to follow. 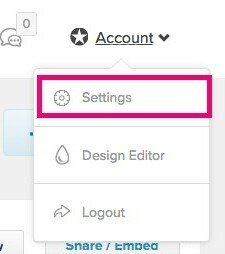 To create a Stripe account, log on to its home page and click the “Create Account” button straight away. Creating a Stripe account has never been easier. Having set up a great way to get paid for offering training to your audience, you equally must find a great way by which the people can book training session appointments from time to time. And when it comes to setting up an appointment-booking session, Calendly is the best. To create a Calendly account straight away, log on to its home page and then choose the “Sign Up” link at the main menu. Once you’ve signed in your Calendly account, head on to the main menu and click the “Event Types” button. You are going to choose which of the sessions you want to open, be it the 15-minute, 30-minute or 60-minute sessions simply by turning on the appropriate “Event Type” box. Click at the very center of the switched-on event type box to edit the appropriate options assigned to it. Now, set up your availability (Select the times you will be available for training sessions). Then, for the “Invitee Questions”, add whatever questions you would want to ask your clients prior to the call sessions. You could ask for your clients’ phone numbers or Skype usernames in case you wish to have a call session. 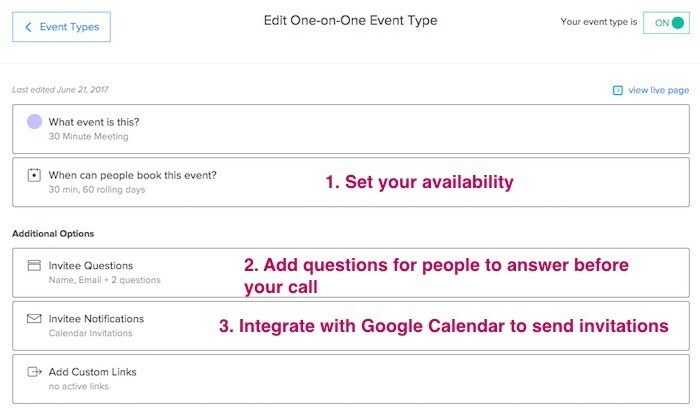 Conclusively, integrate with Google calendar adding a training session booking schedule to your own calendar and sending invitations. The next step to take right now is “Create the training product that you’re going to sell”. Logically, you will be selling a training session rather than a mere virtual / digital download, but you’ll need a virtual deliverable that clients can download immediately after every purchase if you’re using PayHip. My own basic download is just a PDF sheet that instructs how the training session paid for will be scheduled and what must be done in the process of booking. Ensure that you embed a link to your Calendly account page in this very document which makes it feasible for clients to book training sessions with you from time to time. Aside from that, add any other vital instruction, as you may deem fit, based on the training offer you’ve organized..
Upload your document (PDF), give a good title and fix your price. PayHip will require a cover image. You could use your site logo if you have that. Alternatively, you could leverage Canva. This tool allows you to create a professional-looking and more specific logo for your training offer. The next step is to add a product description for your training offer. 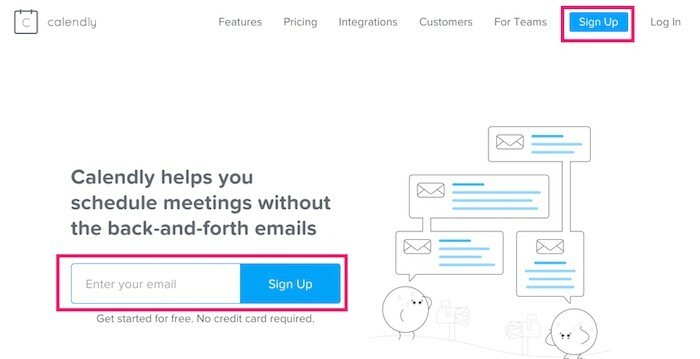 Almost everyone who comes to your Calendly page does so either from your email list or website and knows the reason for visiting which is buying a product. This is a great avenue to recapitulate the real benefits of what you have to offer and what is packaged in the offer. 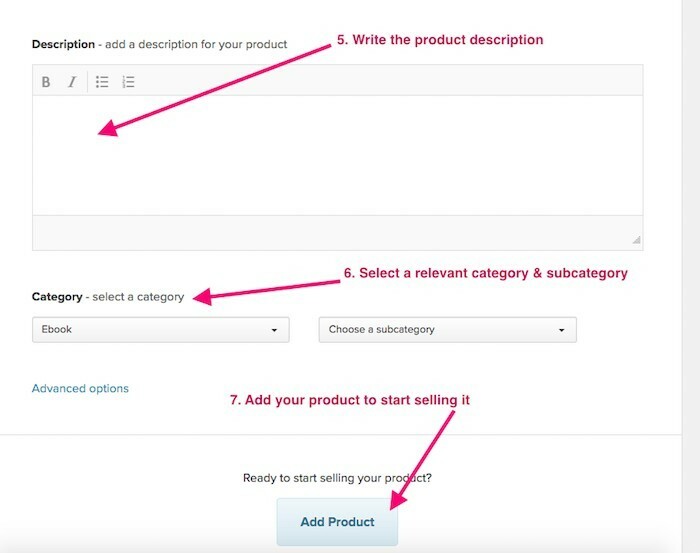 After this, choose a relevant category and click the “Add Product” button. At this point, you’re fully set and your training offer is officially created for sale. 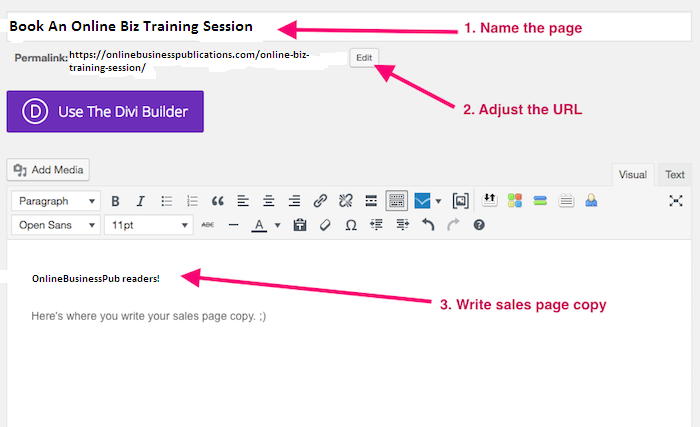 Having created and uploaded your training product, what you need to do next is publish a sales page so you can reach out to the people who need to book a training session with you. Literally, you are going to create a page that is free of distraction for this. 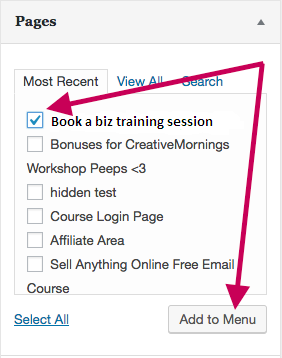 This simply means that there will be no button, no sidebar or no menu that links to any page other than your training offer. Thus, everyone that visits your page is left with no option other than to purchase or quit. As several WordPress themes provide landing page templates that are distraction-free, this is optimally suitable for the training offer but you would have to check this out properly in case you’re leveraging a free WordPress theme. 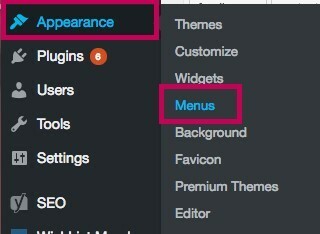 Now, log on to your WordPress dashboard, locate the “Pages” menu at the left sidebar and click on the “Add New” button. Locate a widget named ‘Page Attributes” at the right side of your content editor and find out if it provides a landing page template. i. 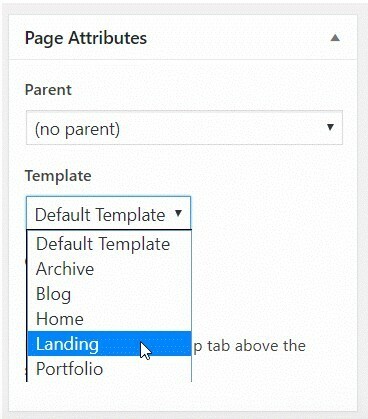 If this option is not enabled under the default template, it might possibly mean that your theme does not support a landing page template or might simply mean that your theme has another way of creating a landing page. ii. You can actually find out by searching on Google for the keywords: “Name of your theme” followed by “Landing Page”. In case you find out that your theme does not have the option for a landing page template, you shouldn’t worry at all but rather leverage a WordPress plugin like Thrive Themes, or an app like LeadPages which are empowered for high conversion rates. Now that you have created a landing page for your product, name the page, edit your page URL if necessary, and write your sales page copy. 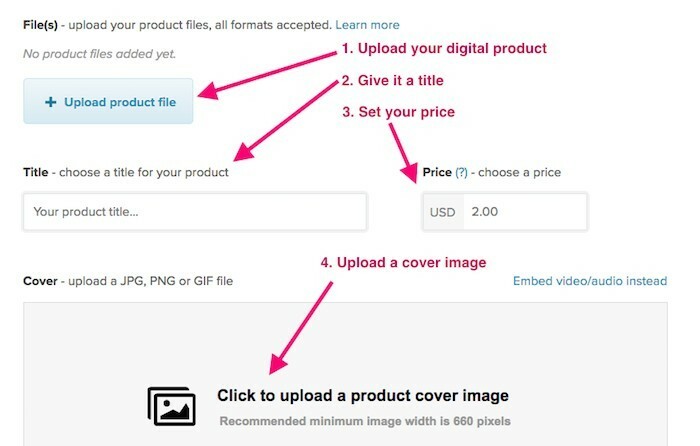 Upon successfully creating your sales page copy, you must add the “Buy Button”. You will generate a code for this simply by going back to your PayHip dashboard and clicking on the Share/Embed button. You’ll find this button near your product listing. Click on the “Embed” button in the window that pops up shortly. Upon clicking on the “Embed” button, you’ll find the Embed code to copy. Make sure to click on the “Additional options” texts below the this code before you copy it. Then, you’ll see a drop-down menu of settings through which you’re going to adjust the size, the display options, and the button text until everything looks perfect to your specifications. 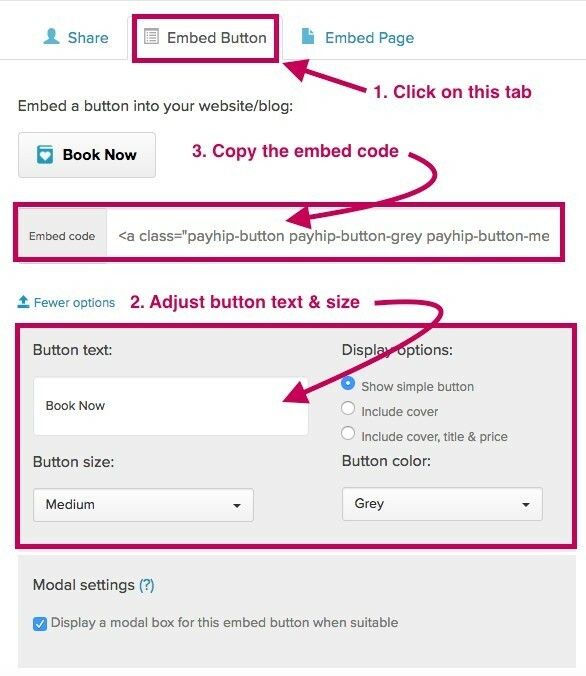 Upon completely modifying the “Adjust button text and size” options to your own specifications, copy the Embed code and let’s get back to WordPress right away. 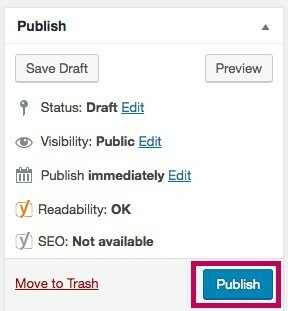 Now, let’s publish the page and add it to your site main menu by clicking on the “Publish” button. Thus, choose the “Appearance” tab and, then, the “Menus” button. Finally, check the box next to your newly published page and then click on the “Add to Menu” button. That’s all. You’ve successfully created a training offer now for sale. Congratulations! How will you drive people’s attention to your sales page? Yes, you wouldn’t ever relent there at creating a sales page and putting it in your site main menu. Some realistic ways to driving people’s attention to your training offer include sharing it on social media, mentioning it within your blog posts, including it in the sidebar, disseminating it to your email subscribers at large and many more. By successfully creating a training offer and publishing it on your site, you have done an integral part of the work already. As you’re preparing to receive the first booking for your very first training call, be ready to get nervous a little because it’s very much unlike the normal blogging practice which doesn’t make you appear before the public. How can I train people when I am not an expert? What if they dislike what I have to offer? What if my advice is ignored and I’m blacklisted online? What if I don’t have enough resources to observe the time my clients paid for? What comes up if I eventually end up a call time schedule with a client longer than the supposed or expected time? Am I supposed to reprint a fresh invoice for the actual time spent? Which would sound enough to you as a good reason to create something awesome and appreciable. Once you are passionate about blogging with strategies and competent in writing a quality blog post, you’ll have enough experience to train people like a seasoned pro. It’s worth remembering that when people book and pay for an offer, they’re putting some degree of trust in you as a seasoned trainer and would be ready to invest so much in your instructions. Your clients wouldn’t expect you to be 100% perfect but would require your technical expertise and seek your professional experience to help them get their own business off the ground. No matter how much some clients might want to take much more of the scheduled time for that particular offer, you must stand as the trainer, engage them effectively and try ending the conversation within the supposed time. As you observe more training sessions, you’ll continue to become more perfect with the job and figure out what works best for your training business with time. You would love to do some sort of follow-ups with your lovely clients after the call as a way of rounding off sessions and summarize points for future reference. Sometimes, following up with them via emails would be so touching and will make them believe in you in a greater way as someone who understands their pain points. Training is the best way to get in touch with your target audience and see to their challenges and issues. I’ve experienced this in my own training business: Since I began offering training sessions on one of my sites, I’ve got more connected to my clients and have built up my business to a higher level now. I know the kind of content that’s highly-interesting to my audience and can write such content from time to time to make them visit and revisit my blogs. I try reaching out and solving problems and I earn lots of profits from my business. Doing this from time to time without relenting at all will make you see pro blogging results in earnest. It wouldn’t work overnight but must be gradually achieved. Thus, create a training offer, organize your training business, and start making training calls right away. It has never been easier and it’s not early for anyone be it a newbie or veteran blogger. Are you just starting out with a blog? Or have you just decided to start blogging? It’s nothing but the best decision in your lifetime. It takes weeks, months and even years of course to build a successful blog though. And it simply takes following pro bloggers for years to become a pro blogger. Blogging is just an online activity that requires much passion in everything you’re doing. Do you have passion for blogging at all? Would you love to be a successful blogger running a training business online? Have you set up a training business on your blog already? Or you are just learning about setting up a training business for the first time through this blog? Would you like to add your own contribution to the discussion as a pro or veteran blogger by leaving a comment below? Share the post on social media, subscribe to the site to receive new posts and leave a comment below to contribute your own quotas. Thanks Jeff for stopping by! Much grateful! Online business is enormous as most people know but it happens that people don’t maximize their blogging potentials to set up a solid business. Some people wait until they become experts before they can start earning from organizing coaching services with other people whereas it doesn’t matter. Even if you’re just starting out online, you can set up a coaching business and you will find out that you can do a lot of those things you never thought you could do in lifetime. All the tools you would need to do the business setup from scratch to receiving payments have been blended in that blog post. I have read your post and I have to say thank you for the great and really helpful advice here. I have been planning to do a training for taking advantage of the perfumes industry to make money and this post is going to come in handy for that venture. I have bookmarked it so that I follow the advice step by step. Thanks a lot. I appreciate the help. Thanks for leaving a comment Dave! Much appreciated! It’s great that there are such tools that will help in setting up a training business. Because certain technicalities are involved in online business, people would need your expertise and wouldn’t mind whatever it may cost them to learn through your training. Other people might love to book coaching sessions with you and this will be difficult without a proper setup on your own blog. All you would need to set up a coaching business starting from organizing coaching sessions with your clients through getting paid have been blended in this blog post. Thank you for this comprehensive overview of how to start a training business. You were definitely very thorough. I am passionate about blogging, but I had not thought of creating my own personal training business before. I can definitely see the advantages of setting one up. I am not 100% sure which topic I would pick. The Make Money Online niche is very competitive and I am note sure that I will have the skills to get enough traffic to make it worthwhile. You have given me a lot to think about. Thank you. Thanks for stopping by Glenys! You are warmly welcome. It’s great to set up a training business on your own blog as this could turn you a pro blogger. All you would need to set up a coaching business in order for clients to book coaching sessions with you has been provided in that post. Thanks for visiting! Hi. This is a very helpful blog post. I have so much knowledge and qualifications in business and nutrition, though I know, that the two are completely different fields. But, I do think they work well together, especially when I started my nutrition business. I am definitely going to put a plan in to action based off this blog. Is it okay if I come to you, when I have some questions or if I get stuck at some point during the process? I would love some feedback. ​You are warmly welcome Snow whenever you get stuck. And be rest assured that I am fully committed to your online success. It’s great to start a coaching business on a blog whether you’re still a newbie or veteran blogger and every tool needed for setting up a coaching business as well as receiving payments has been blended in this post. Thanks for visiting friend! Thanks for sharing – there is a wealth of useful information here – I’m going to have to go back multiple times to soak it all in. You have covered just about every angle required in getting started and moving forward. I love training, and this could be an excellent way to add more income streams. Welcome Norman and thanks again for leaving a thought! Kudos for finding my post helpful! Setting up a coaching business on your blog is a great way to boost your online revenue. Aside from that, you’re going to be regarded as a pro and may receive more turn-ups as a result of that. Thanks for visiting! I really enjoyed your training piece on how to start a training business. Brilliant. I’ve been thinking about offering training as part of my Local SEO and web design business but didn’t know really how to start. This is a great road map for that and I’m glad I found your site. You are warmly welcome Vic. Thanks for reading! You can set up a training business now that you’ve learned properly how to go about it. No matter what your niche might be, this blog post has shown all the steps needed for setting up a coaching business as well as getting paid. I have been working on a training topic which I discovered to be highly demanding and barely anyone has addressed it the way it should be, which was a gold mine. I am at the point of getting to monetize it and I didn’t know how to go about it. I see that Payhip is a really great tool to use for that. I will be learning more about it and then get into it. Thanks. Thanks for leaving a comment Dave! Much appreciated! 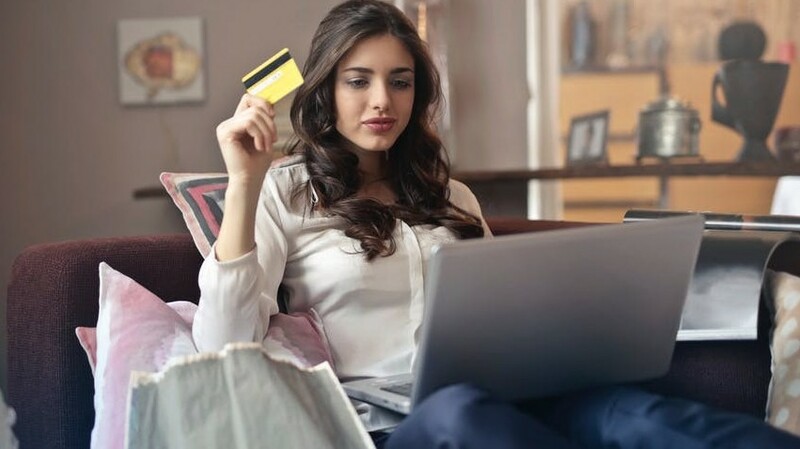 Payhip is best for you when it comes to setting up a payment method for any type of coaching business on your site and starting up a coaching business is going to make you stand out and look like a pro in the sight of your target audience soonest. Congratulations! I have been creating a training for a good while now and I feel like it is almost done. I have followed all the steps you have given here and would like to get help with two areas. First, I would like you to suggest a few titles you deem clear and funny that will attract folks so that I can take influence. Second, I would like to get your input on the best payment method between PayPal and Skrill for training website. Thanks in advance. Thanks for getting back Dave! Much grateful! I am glad you found the post helpful towards starting your own coaching business soon. As mentioned in the post, Stripe has been preferred by many people to PayPal because it’s way easier to set up and credit card transactions are quite easy. Thanks for visiting! Looking forward to your newly setup coaching business! Very informative post on how to start training business. Really online training business is lucrative and high paying. Only we need to identify on which field we have good expertise. You have already told us the starting process. You have touched every point that we need to focus in starting training business. Thank you very much for this great post which really helped me a lot. Thanks for reading my blog post Himbru! I am glad you found the post helpful and informative. You can start out your own online coaching business right away following the step by step instruction I gave in that post. And you will become successful soonest, be rest assured. Congratulations! That’s great content. I’ve been thinking about offering training sessions for a while, but never followed this idea. You give practical detailed instruction, so that it seems easy to set it up myself. I like the fact, you also talk about payment and training scheduling. Can you also write a post, about starting an automated online training business? Thanks for stopping by Felix! I am glad you found my blog post helpful and informative. I want to let you know that there wouldn’t be any other automated online training business if you can carefully follow the instructions in the post. You’ll be able to organize interactive call sessions with your clients once they book for your offer and you’ll automatically receive payments once automated payment settings have been set. Thanks for visiting! Super helpful post! I love that you provide step by step instructions on how to implement a training business! This question may have been answered in your article, but I couldn’t find it. Do you normally hold these meetings for a single client at a time? Or can you (do you) ever hold them “seminar style”? If that is possible, it sure seems like a great way to leverage your time. Also, any suggestions on how to price this training? Thanks for stopping by kmv! Kudos for finding this post so helpful! You can easily set up a coaching business once you’re ready to follow the step by step instructions and you’ll experience super blogging experience. You’re not going to be holding meetings with any client one-on-one as such but will simply be having call sessions on any area your client might need your coaching offer. Your clients book a coaching session with you through your calendar while you organize a call session with them straight away. Thanks for visiting my blog Jeff! Much appreciated! I want you to know that you have everything you would need to set up your own training business whenever you would be interested to get started. Setting up a coaching business on your blog will boost your online revenue and make you look like a pro in the sight of your clients. Thanks for reading my post! It’s nice to meet you here Festus! Thanks for leaving a valuable thought here and kudos for deciding to build up an online empire implementing working strategies! I want you to know this fact that getting a first PageRank in Google is guaranteed once you are ready to work the techniques with the right energy. If you ever need a hand in anything in the course of building out your site, don’t hesitate getting back to me and you will hear from me quickly. Thanks for visiting! Congratulations! hi, thanks for your post as I have been really struggling with this part of my website. Your tutorial helped me out a lot. Do you have any experience of setting up a monthly subscription site? Would this payment structure work for that also? If not, do you have any suggestions? Thanks for dropping by Alan! Kudos for reading my blog post! Much appreciated! Yes, the payment structure in the tutorial works for setting up a monthly subscription on your blog too and this has been a great tool for a lot of veteran bloggers out there trying to create an e-commerce store online. The post settles all of that. Thanks for visiting! Hey there! I just finished reading your article on starting up a training business and just wanted to drop you a quick comment to say thanks. I had never heard of Payhip until reading this article. I had been looking into ways of selling a couple of training eBooks that I had written some time ago. So this article has really helped me to understand how to do it. Up until now I had been looking at simply adding a Paypal button to a webpage that I was designing, but this article has given me a few more ideas to play with. I’m pleased that you mentioned Lead Pages here as that is one of the page builders that I have been looking at. Thanks for your advice! Much appreciated. Thanks for visiting and reading Andrew! Much grateful! Payhip and lots of other great tools mentioned in this post would all be amazing online business tools for anyone that wishes to become a rocking blogger. If you have any question or issues on any of those tools or, perhaps, have some further inquiries about setting up an online training business, don’t hesitate getting back to me and I’ll be more than happy to get back to you. Wow there’s so much information that I will have to read 2-3 times. I will put your articles in my favorites. This is exactly what I was looking for. Thanks for that article. I’ve never heard about Payhip. I’m not there to train by phone but for ebook, this site really seems to be great tool! Thanks for leaving a comment Jo! Much grateful! Kudos for reading my blog post! You can of course build up a landing page on WordPress though not all of those plugins would support a landing page template. It’s rare to be able to get a landing page template from a free WordPress plugin. It used to work with premium plugins, take note though you may still have some free plugins that would allow you to access a landing page template. If you still have any issue related to setting up a training business on your own personal blog, try getting back to me and I’ll be more than happy to reply you in earnest. I actually need to write more attracting headlines since my click through rate is lower than I expect. I actually wonder that I did not have a “brand” yet. I mean I am not that active on social media. So I am not sure whether people are interested in my training. So how should I approach this? Thanks for dropping by Furkan! Kudos for leaving a valuable thought here! Much grateful! You wouldn’t wait till you’re sure you’re having a brand worthy of emulation but should press further emulating pros in order to start getting pro blogging results soonest. You can start a training business right now in as much as you have a blog set up already. You don’t have to bother or get baffled as to whether people will be interested in your training or not. Becoming a successful blogger in anything you know now is guaranteed so far you can set up a training business on your own blog following the steps I outlined in my post. Read one of my recent posts titled “How To Make Money Online Legitimately“. Thanks for visiting!